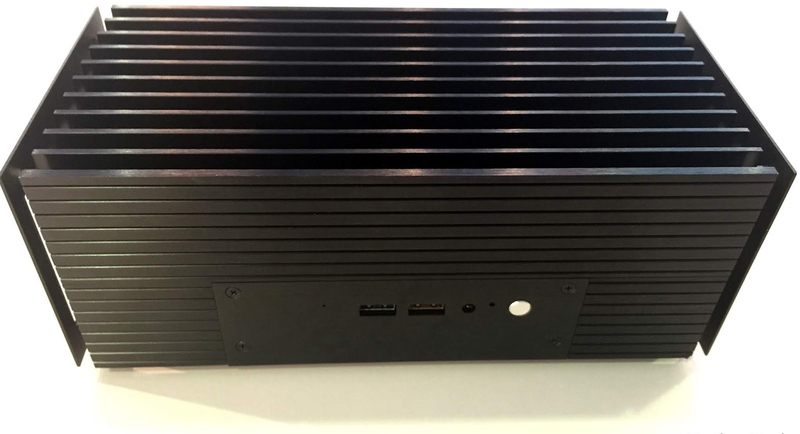 Akasa is prepping an aftermarket chassis for Intel’s 8th Gen "Bean Canyon: NUC systems. The Turing chassis will allow Intel’s NUC 8 ultra-compact form-factor (UCFF) computers to be converted to fanless systems, eliminating the noise that they produce. 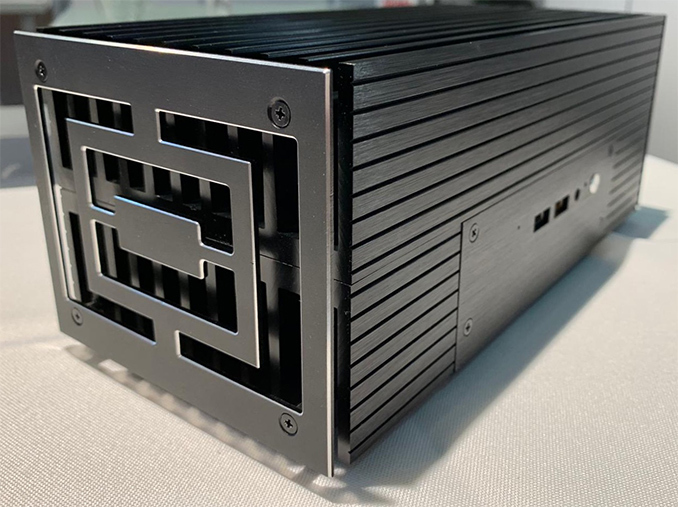 However Akasa has decided to do one better, and is putting together a chassis for Bean Canyon that allows the NUC to be converted into a passive, silent system. Akasa is already known for its Galactico chassis (its scheme is depicted below) for Intel’s Skull Canyon NUC aimed at users seeking for UCFF gaming PCs. 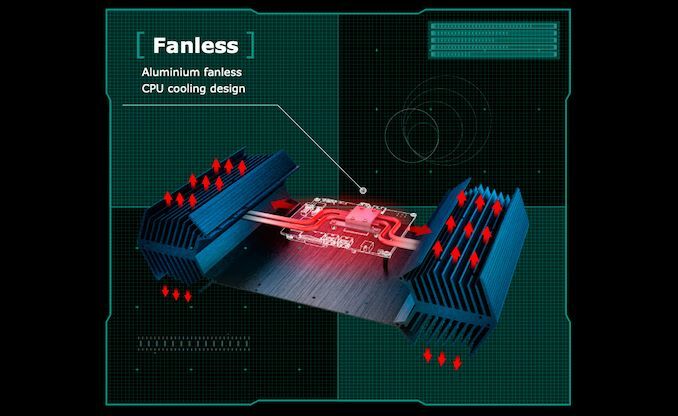 Based on the pictures of the Turing case published by FanlessTech, the upcoming chassis for Intel's Bean Canyon uses the same principle as its predecessor: it has a large CPU heat exchanger featuring multiple heat pipes that transfer heat from the processor to massive radiators. While the Galactico features two aluminum radiators located on the sides of the chassis, the Turing features an additional radiator above the CPU as well. 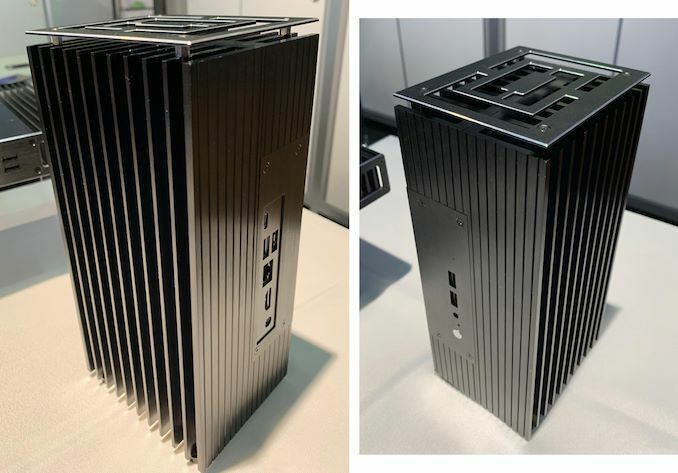 Quite naturally, Akasa’s Turing and Galactico chassis make Intel’s NUC systems considerably larger than they originally are, but they eliminate all the noises that these PCs produce. Furthermore, they retain all the I/O ports that the computers have, including GbE, USB Type-A/Type-C, TB3, HDMI, DP, audio, microSD, and even antennae fitting holes. According to FanlessTech, Akasa will launch its Turing chassis shortly. Pricing is uknown, but it is likely that it will be comparable to a ~$200 MSRP of the Galactico. Hopefully the additional size means this one might actually work. Got two of the previous ones (thin-itx and 7th gen NUC) and both are hopelessly inadequate when the CPUs are anything above middling. Yeah, you are right. Got his comment mixed up with one from another poster earlier about pentiums being too much for fanless cases from Akasa. My take: using more than peak 35w in a cpu/igpu is usually not wise in small and even medium fanless cases, gaming or not. Above that you need massive heatsinks and some form of vertical heat dissipation. The TDP doesn't change with the addition of a large heatsink. A heavily loaded mobile CPU in the NUC won't really contribute much to the temperature of even a small room regardless of whether there's a stock HSF or a passive metal block attached to it.